Dogs Bite Decatur Al: DIXIE COUNTY FL - A YOUNG FAMILY WERE HAPPY TO MOVE TO A HOME IN THE COUNTRY ...AFTER JUST 1 WEEK THE MOTHER WAS RIDING HER BIKE WHEN SHE WAS MAULED BY 5 PIT BULLS!!! A Florida woman underwent surgery Monday after suffering serious injuries following an attack by FIVE PIT BULLS on March 28. 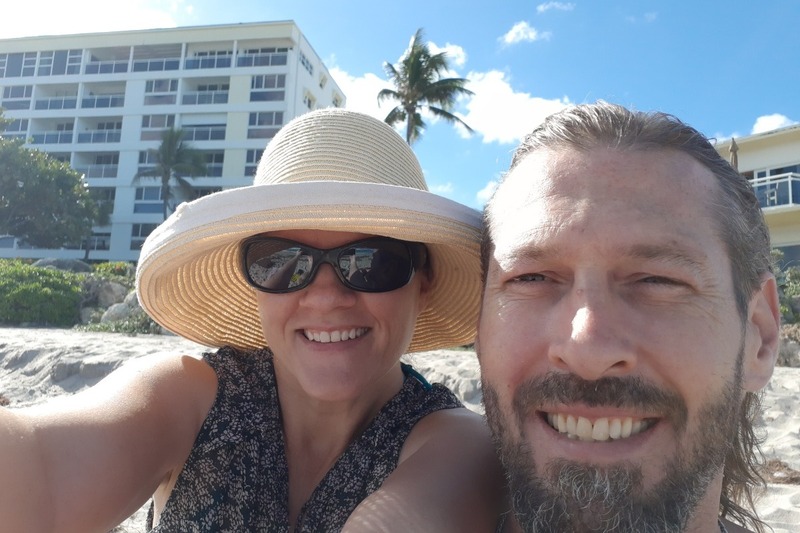 Sara Wegscheid, 41, was riding her bike in Dixie County when a group of five pit bulls attacked her and “started tearing her apart.” Sara’s husband, Prosper Wegscheid, said one dog first ran toward his wife and bit her bike’s tire after which four dogs chased and attacked her. Sara suffered several puncture wounds. “She sat conscious while five pit bulls latched onto her, biting her hands and dragged her off of a fence. They played tug of war with her for five minutes while she screamed for help,” Prosper said, the Gainesville Sun reported. Neighbors came to the woman’s rescue and scared the dogs away by firing gunshots in the air. Major Scott Harden, with the Dixie County Sheriff’s Office, said one neighbor first shot his gun in the air to scare the dogs. Another neighbor heard the shots and joined him. “He had a rifle and fired some shots off trying to scare the dogs away, which prompted another neighbor,” Harden said. The neighbors then “stood there between the victim and the dogs until the dogs’ owner got there and then EMS got there,” Harden added. Emergency medical services reached the scene and the woman was air transported to UF Health Shands Hospital. A GoFundMe page stated Sara had bite wounds on both her hands and legs and that the wound on the right leg would require a surgery, skin grafts and physical therapy. Prosper said his wife underwent surgery Monday and the doctors were unsuccessful in repairing the skin wounds using skin grafts. Another surgery was scheduled for Thursday. “We’ll be here until at least Wednesday but if the skin grafts don’t work, we’ll be here even longer,” he said. Police said all the five dogs were euthanized Friday after the owner, Cody Inman, handed them to the animal control willingly. The dogs, however, tested negative for rabies. Do they ever test positive for rabies? My guess is no. What a shock! The pit bulls were not rabid but acted rabid anyway. Hmm, I wonder if it's a breed thing? It definitely is a breed thing, but nutters don't want to ever admit their precious nanny dogs are really killers. It is always standard protocol to test biting dogs for rabies, as very few people survive rabies. In addition, testing removes any fear of the possibility of rabies. However, I would be very surprised if dogs with rabies would be capable of doing an organized attack on a person. I suppose it's possible particularly in the early stages of rabies. In Africa, attacks by packs of dogs have reportedly caused rabies. Years ago, I saw a video of an African man dying of rabies due allegedly by an attack on his tribe by a pack of dogs. Whereas we might think of rabies being rare today, it isn't rare in some parts of the world where there is an abundance of wild dogs and little rabies vaccine is available. Believe it or not, rabies can be hard to diagnose in people. One woman died of rabies after a corneal transplant from a rabid person. Later, organ transplants from one rabid person resulted in the deaths of all the recipients of organs with the exception of one who died post-op before rabies could develop. In the last case of organ transplants from a rabid person, I believe one died of rabies. The others, from what I have read, have continued to survive with rabies vaccination. I don't know what is being done today about this, but organ transplantation must be done quickly. The risk of dying without the organ is far greater than the risk of rabies.